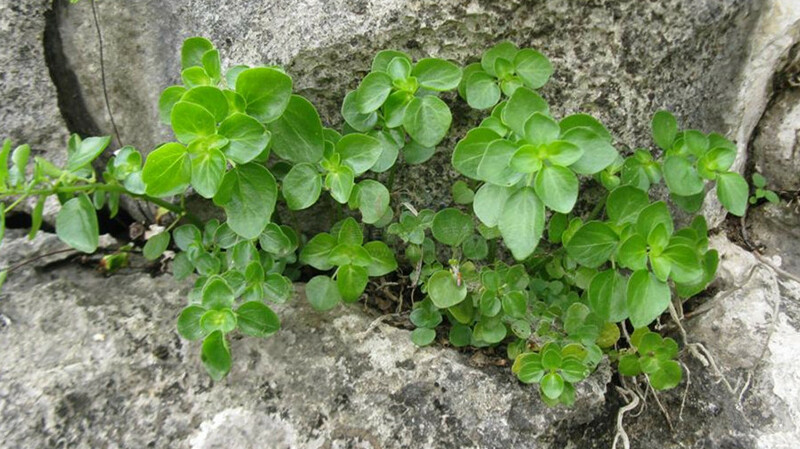 The drug is the dried or fresh entire herb of Pilea cavaleriei L-évl. (family Urlicaceae), growing in wet sites or on rocks, and distributed in Hubei, Hunan, Guangding, Guangxi and Guizhou of China. It is used to remove heat, nourish the lung, relieve cough and subdue swelling; for the treatment of cough due to lung heat, tuberculosis, infantile malnutrition due to digestion disturbance or intestinal parasites and edema due to nephritis, externally for traumatic injuries, burns and scalds, sores and boils. Decoct 15~30 g or 30~60 g of the fresh. Proper dosage is for external application, pounded for applying.